Salt storage facility at the Illinois Department of Transportation Morton Maintenance Yard. David Haste is the Manager of Streets, Sewer, and Forestry with the Peoria Public Works Department. 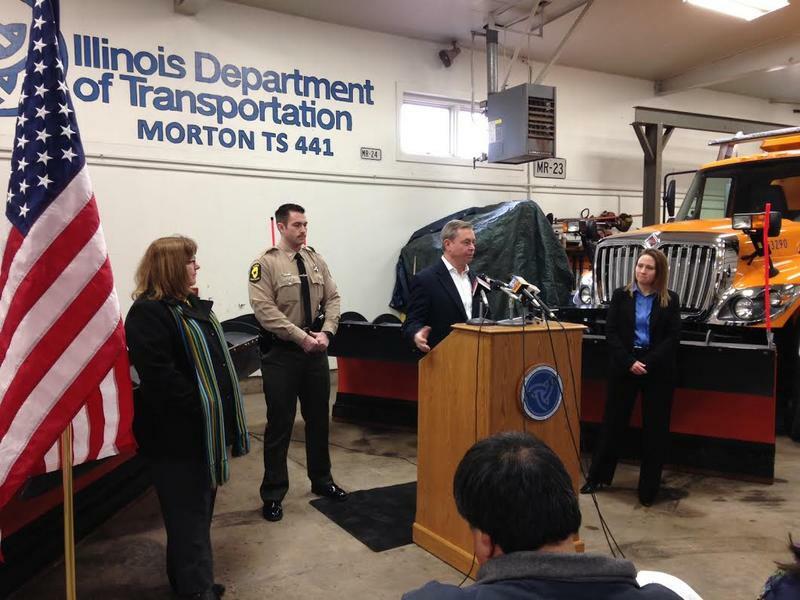 Local, county and state transportation officials say they are ready to combat snow and ice this winter on Illinois roads. But they all agree salt conservation will be important. David Haste is with the city of Peoria’s Public Works Department. He says cities across the state are spending more for salt this year following last year’s snowy winter. “It’s a 30-dollar increase from last year where we were paying just over 50-dollars a ton. Now we’re just over 80-dollars, so we have to reduce that amount that we’re putting down,” said Haste. 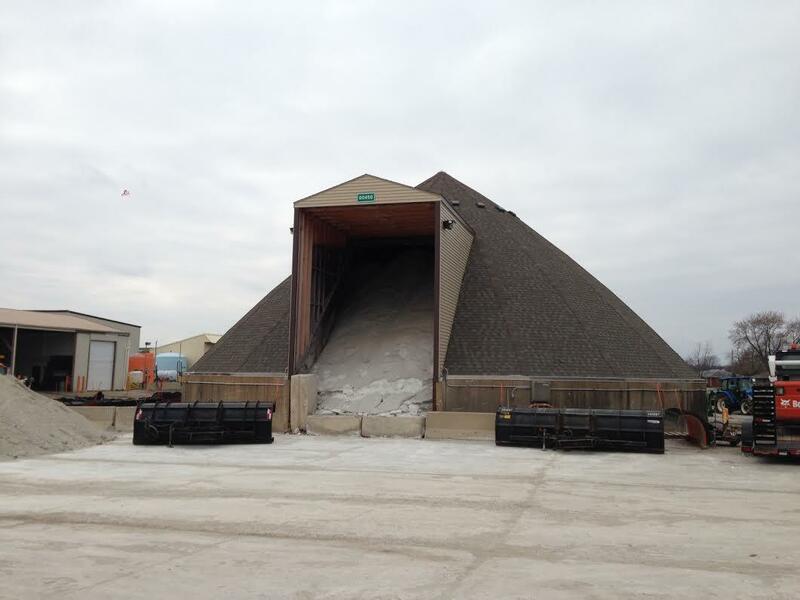 Haste says the city has six-thousand tons of salt this winter as does Peoria County. Both governments are confident that’s enough to get them through the winter. 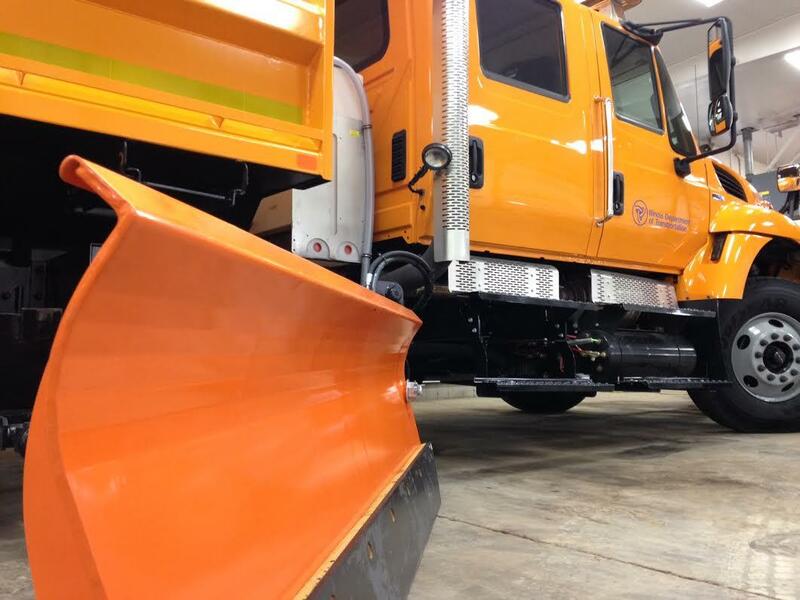 Snow plow drivers are prepared to target hills, intersections and curves with snow and ice removal efforts. Local and state law enforcement are also reminding motorists to slow down and pay attention on Illinois roads this winter. It’s part of the statewide annual “Ice and Snow, Take it Slow” campaign. Ross Green is an Illinois State Police Trooper in the Peoria area. He says the first snowfall of the year always seems to throw-off drivers. “I would just caution all drivers to remember what it’s like. Remember that your stopping distance is significantly less. Even if you’re driving a four-wheel drive vehicle," said Green. Green says motorists should approach intersections, off-ramps, and bridges with caution as they are all prone to accumulating black ice. He says people should only travel in bad weather if necessary.